Until 1889 Schloss Mayerling served as a hunting lodge. 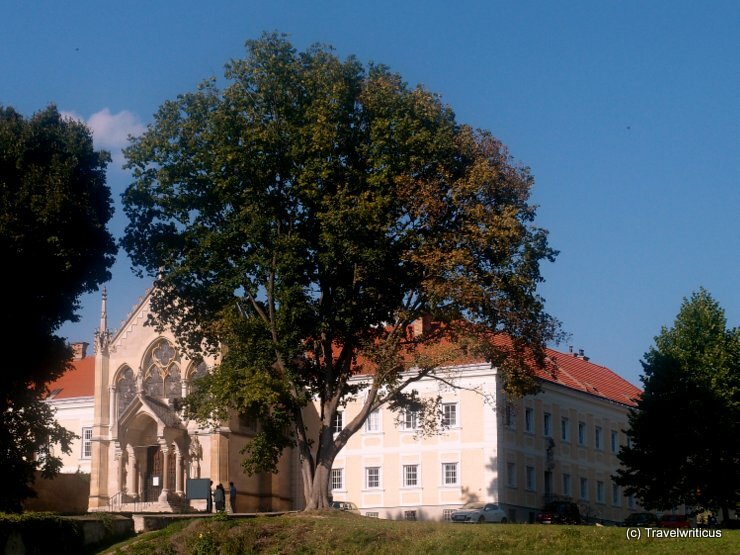 After the death of the heir to the Austrian throne Rudolf and his mistress, the building turned into a monastery (Karmel Mayerling). On that place where the couple had died the church depicted above has been erected.